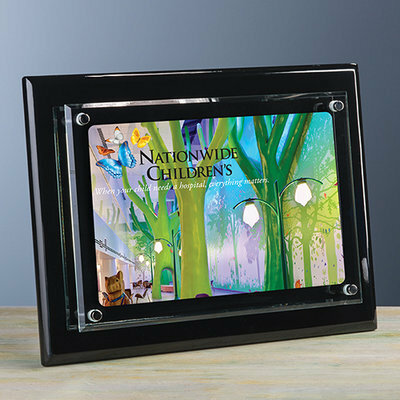 Polished beveled glass mounted on a polished wood backboard highlights your logo and award message on our Blackwood Plaque. Your personalized plaque can be inscribed to hang or stand vertically or horizontally. Each piece is packaged in an attractive gift box for easy gifting and presentation.